City Hall is calling on Muscovites to vote on the effectiveness of a project to test whether passengers can navigate the capital's subway system more easily using stickers and floor markings. 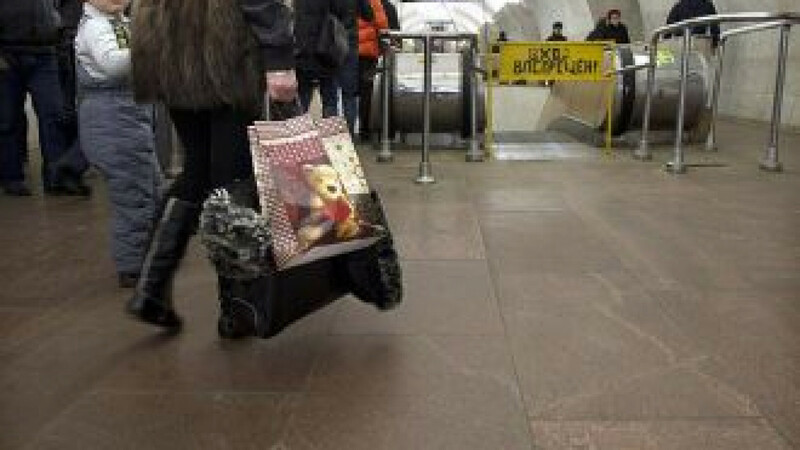 Stickers with arrows pointing to the nearest exit and displaying the names of neighboring stations in English began appearing on the floors of the metro last week at the downtown stations Chekhovskaya, Pushkinskaya and Tverskaya. The pilot project, which is set to last a month, was inspired by the metro systems of Hong Kong and Singapore, the city-run Moskva-24 news channel reported, adding that the project cost an estimated 2 million rubles ($65,000). Metro officials said the stickers — within eyeshot for those used to walking face-down with their head in a book or electronic device — need to be replaced roughly every three months. If Muscovites take to the sticker system, then the project will be rolled out to incorporate the rest of the metropolitan network, although passengers questioned by the TV station's reporters seemed less than convinced early Friday morning. "The stickers seem inconvenient because they will lose their stick. It's far better when the signs are hung from above," a passenger told Moskva-24. "It would be better if they were at eye level, that way you could read them more easily and work out where to go," another unidentified passenger said.